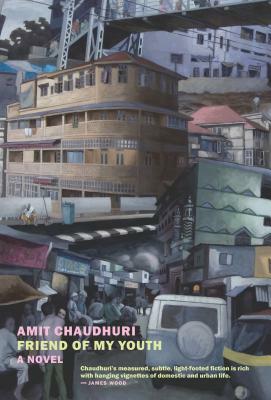 In Friend of My Youth, the narrator, Amit Chaudhuri (a novelist who is not to be confused with Amit Chaudhuri the novelist) is in Bombay, where he lived and went to school as a child and teenager: Hailing as he and his family do from Calcutta, he was never exactly home there although their home was there. That was long ago, however, and Bombay is now a different Bombay, just as his own childhood looks different through the lens of intervening years. And there’s another difference now: The old friend he always visited on returns to Bombay has fallen prey to a drug habit and is no longer there–and so another link with the past is broken. Amit wanders the streets of Bombay, reflects on the terrorist takeover of the glamorous Taj Mahal Hotel, runs errands for his wife and mother, remembers his father, misses his friend. 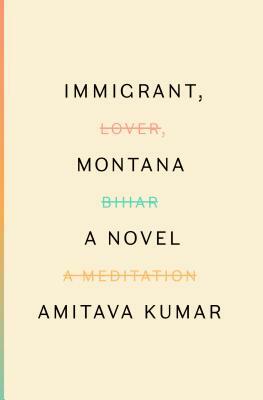 In Immigrant, Montana, a young Indian man’s American friends call him Kalashnikov, AK-47, AK. He takes it all in his stride: he wants to fit in–and more than that, to shine. In the narrative of his years at a university in New York, AK describes the joys and disappointments of his immigrant experience; the unfamiliar political and social textures of campus life; the indelible influence of a charismatic professor–also an immigrant, his personal history as dramatic as AK’s is decidedly not; the very different natures of the women he loved, and of himself in and out of love with each of them. Telling his own story, AK is both meditative and the embodiment of the enthusiasm of youth in all its idealism and chaotic desires. This event is part of Brookline Booksmith’s Transnational Series. For more information, contact series moderator Shuchi Saraswat at shuchi@brooklinebooksmith.com.